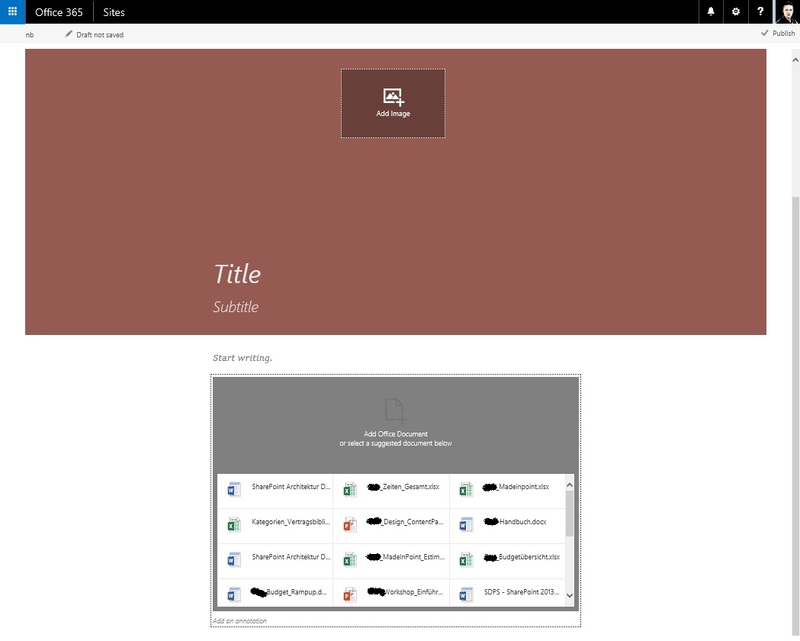 Clicking the “Start Writing” option we are redirected to the new authoring engine. Everyone who already worked with Sway will find a really similar and well known experience. 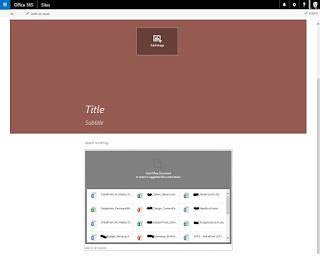 In the top section we can easily add a picture and a title. 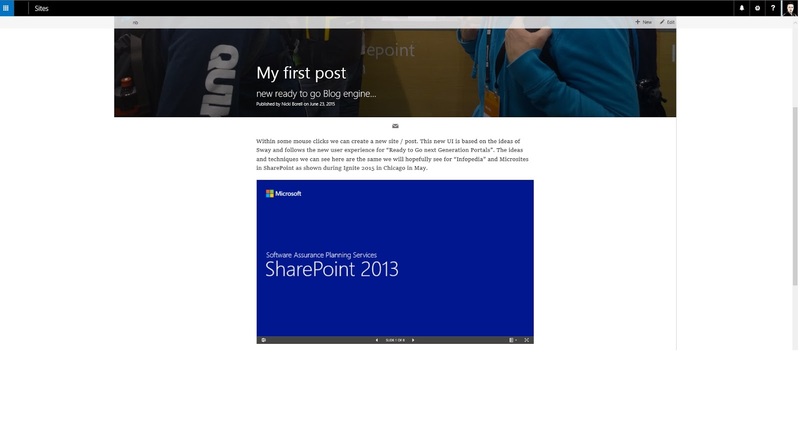 In the lower section we can add text or content located in OneDrive for Business or uploaded from out device. Within some mouse clicks we can create a new site / post. 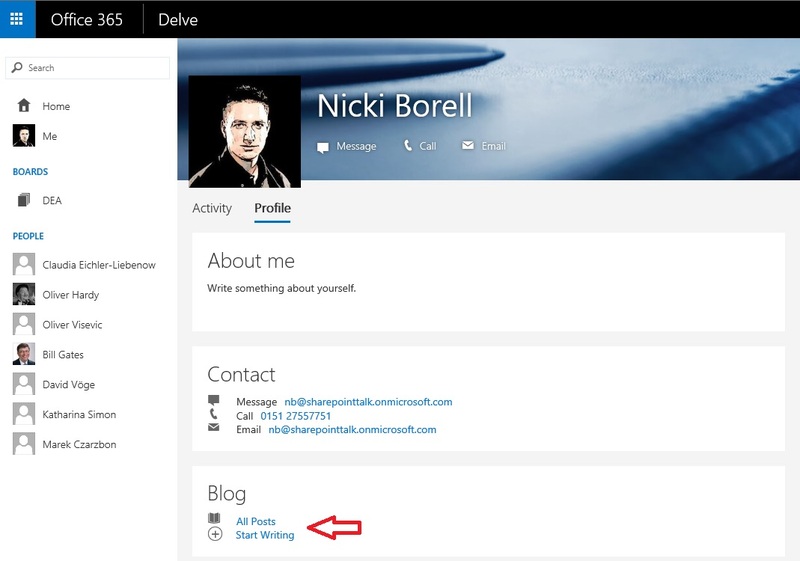 This new UI is based on the ideas of Sway and follows the new user experience for “Ready to go next Generation Portals”. The ideas and techniques we can see here are the same we will hopefully see for “Infopedia” and Microsites in SharePoint as shown during Ignite 2015 in Chicago in May.